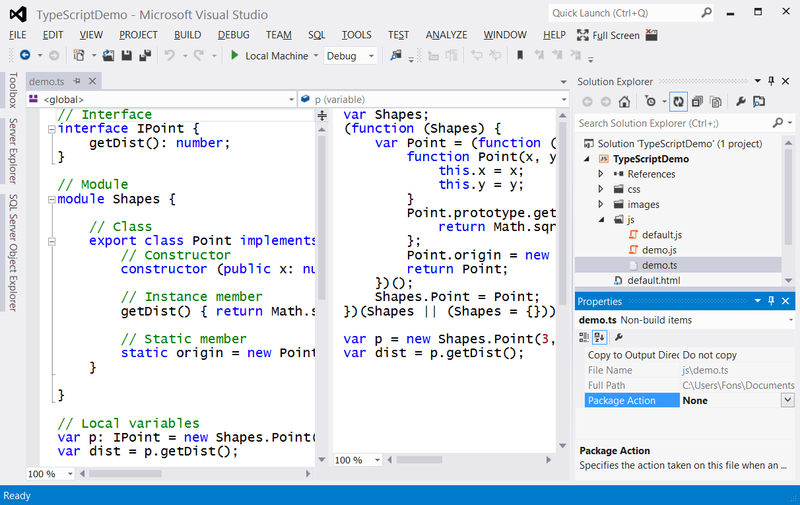 You can install TypeScript for Visual Studio 2012 using an MSI setup which you can download here. Make sure you first close all Visual Studio instances to avoid installation problems. To make life easy you can download my TypeScript.zip file so you don't have to repeat my steps. Make sure you place it in the right ItemTemplate folder. 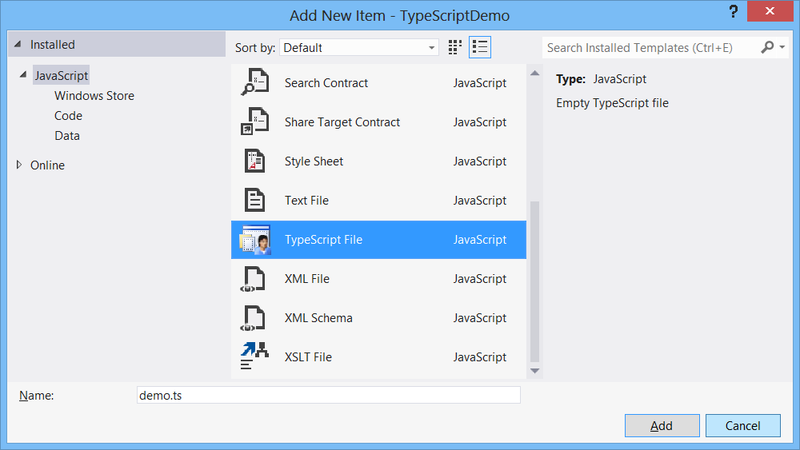 When you add a new Item to the 'js' folder you can now select the TypeScript template. You should also change the Package Action of the Demo.ts file to 'None'. Otherwise the file will also be included in the APPX file which will make it larger. Only the Demo.js file is required. 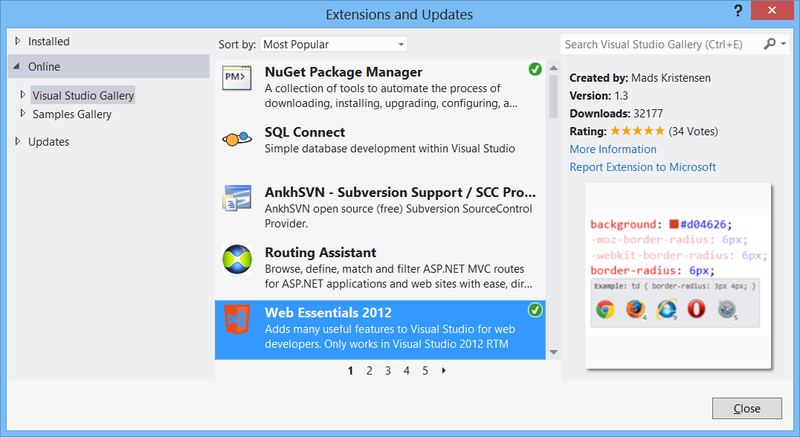 Web Essentials 2012 also supports some options which you might want to change. I only want to compile my TypeScripts on Build and not on every Save. You can also turn preview off but that didn't work on my computer. I hope they will fix it. 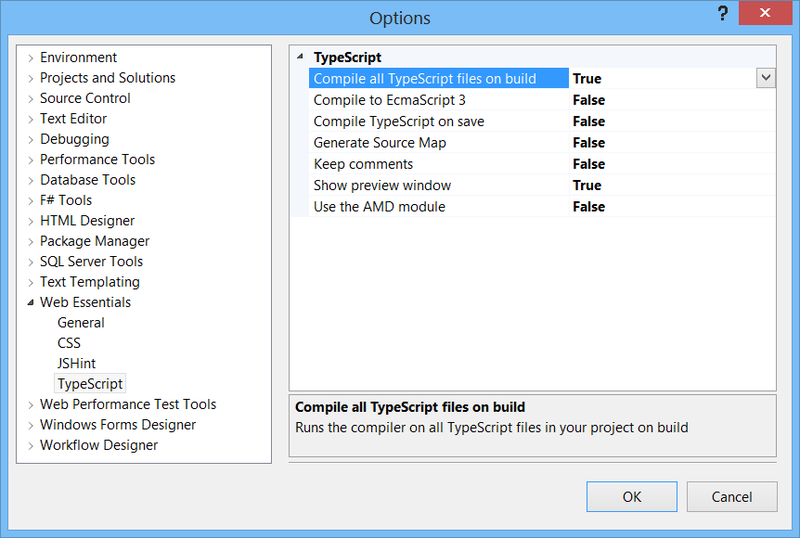 Now it is up to you to write your own TypeScript files. I love the ability to write clean OO code using: classes, interfaces, modules (namespaces), type annotations, compile time type checking and arrow functions (similar to Lambda Expression in C#). 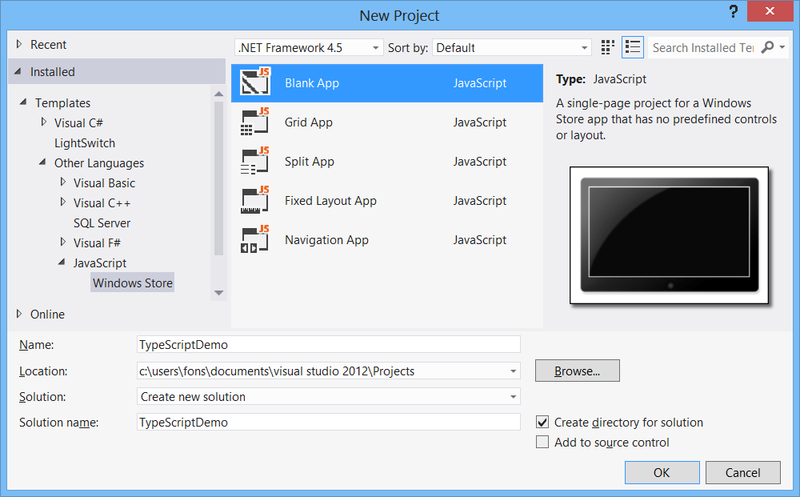 I hope this blog will help you write great Windows Store apps.